These flats really remind me of a pair I got at a stall during an Asian festival last year! Mine were straight from India and I get a bazillion compliments each time I wear them! 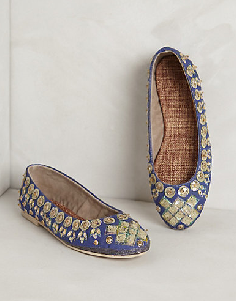 Buy these from Anthropologie for $68 in pink, navy or yellow.